State legislative panel at the Transportation Advocates Workshop. Transportation funding advocates sometimes have to play defense as well as offense, and a key way to do that is by creating engaged groups of business people, local government officials, and state legislators. 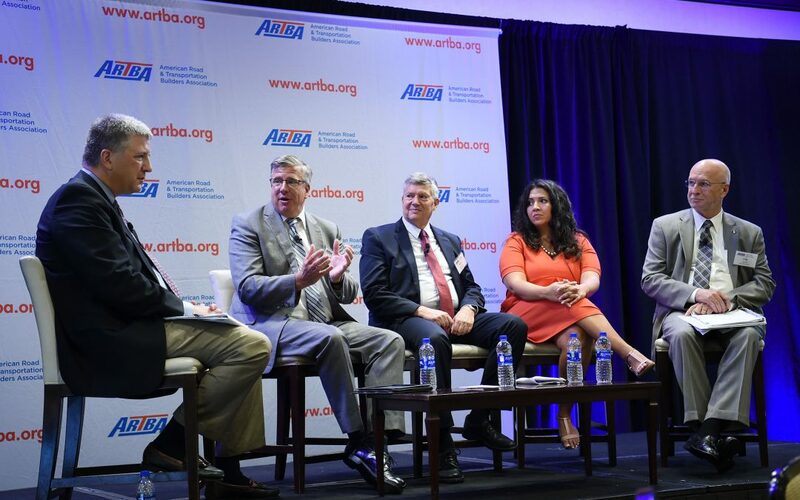 This was just one of the important takeaways that advocates shared July 18 at ARTBA’s 5th Annual Workshop for State & Local Transportation Advocates, the signature program of the Transportation Investment Advocacy Center (TIAC). California Alliance for Jobs Executive Director Michael Quigley discussed the steps his state is taking to protect a transportation funding increase once a bill has passed. A November ballot measure in the state seeks to repeal the 2017 gas tax increase, which is projected to generate $5 billion per year to support transportation improvements. Anti-tax crusaders across the country, not just California, are pumping money into the repeal efforts there. Transportation advocates are fighting back by emphasizing how transportation investment benefits the economy. State better roads advocates and legislators took part in the all-day workshop that included sessions on the benefits and pitfalls of short-term transportation funding mechanisms such as bonds and general fund transfers; long-term funding options; and rural versus urban issues in transportation funding campaigns. State legislators Utah Sen. Wayne Harper ( R – District 6), West Virginia Sen. Craig Blair (R – District 15), Colorado House Speaker Crisanta Duran (D – District 5), and Wisconsin Rep. John Nygren (R – District 89) stressed the importance of economic development and job creation as keys to messaging in successful campaigns.